My sons and I like to get outside whenever we get a chance. Whether it’s to a beach, local park, or festival we are there! When they get older I plan on taking them on hiking trails and maybe even a little rock climbing. Until then, we’ll stick to the stuff that they’re physically able to do (without me having to end up hauling them on my back) and will enjoy. 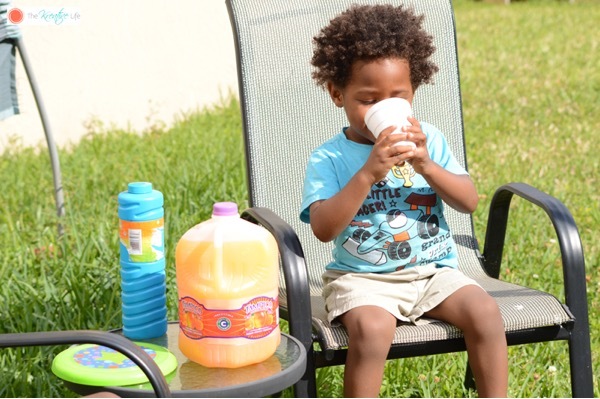 We usually leave the house to have fun and enjoy the outdoors, but we hardly ever enjoy our backyard. I know it sounds weird since we like being outdoors, but it’s true. This time we decided to make a change and wanted to enjoy a day of play in our very own backyard. When I asked my babies what activities they wanted to do, they both agreed that bubble blowing was the main thing they wanted to do. Yes, it sounds simple but it is tons of fun for kids. They get to run around and jump high trying to catch the bubbles. They also get turns at blowing them. 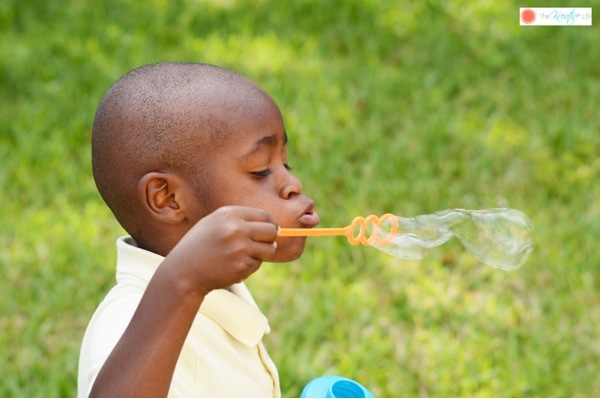 I couldn’t believe how long they wanted to just play with bubbles and not do anything else. It just amazes me at how the little things can keep kids entertained for a while. They finally got tired of blowing bubbles after about a good thirty minutes. Of course, after all of that running around they needed something to drink. We always have Tampico on hand. The fruit-flavored beverage offers flavors such as Mango Punch, Island Punch, and Kiwi-Strawberry Punch. It’s sold in more than 50 countries and can easily be found at a local grocer. I also love that it is value-priced! 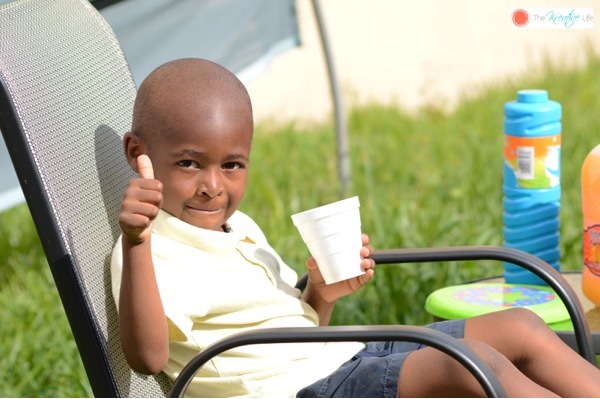 After drinking their thirst-quenching Tampico, they were ready to play again. 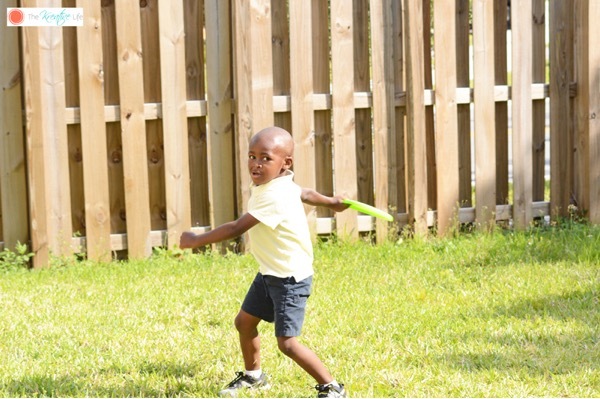 I recently introduced them to the Frisbee and have been trying to show my oldest how to properly hold it and throw it. Right now my youngest, who just turned two, just throws it any way he can because he’s not that coordinated yet. My oldest just had to get his throw right, so attempt, after attempt, after attempt he finally figured it out! Now he can’t get enough of it! We played Frisbee tag and just threw it back-and-forth to see who would drop it first. 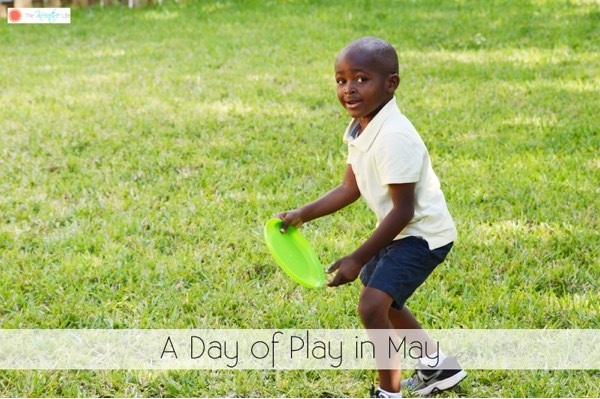 We really enjoyed our day of play in May and can’t wait until our next backyard fun day! 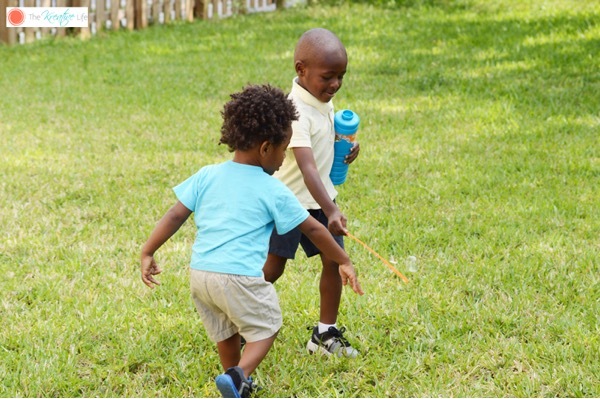 What activities do you and your family do in your backyard to enjoy the nice weather?